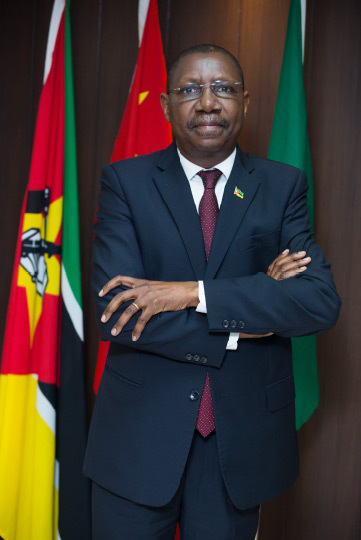 The Consul General of the Republic of Mozambique in the Special Administrative Region of Macau of the People’s Republic of China, greets all Mozambican citizens of Macau, the Macanese community and all Chinese citizens visiting our page. We have been established here in Macau since October 2014 with the aim of furthering friendship and cooperation between Mozambique and the People’s Republic of China—a mutual initiative which dates to the period of Mozambique’s fight for independence—as well as maintaining the historical and cultural links between Mozambique and Macau. Our purpose is to respond to emerging demands resulting from cooperation with the People’s Republic of China—in particular with the Special Administrative Region. Our goal is to act as a platform for commercial and economic cooperation between China and Portuguese-speaking countries to promote commercial and investment activities, facilitate intercultural exchanges, as well as provide assistance to the Mozambican community. Mozambique provides important resources that align with the interests of China and Macau and is among the Austral African countries with the best conditions for tourism and wealth creation. In this context, we would like to invite the general business sector of RAEM and the People’s Republic of China to invest in Mozambique. To this effect, they may count on the collaboration of the Consul General of Mozambique. In conclusion, we would like to express our appreciation to the Macanese community for its warm welcome and offer a word of friendship to all Mozambicans and our friends to say that they can always count on our support.